It’s not enough to just be doing content and email marketing anymore. Those are merely the prerequisites to join the game. To have a chance at succeeding, you must be doing more — and in this episode of The Digital Entrepreneur, we discuss what that looks like in the present and near future. 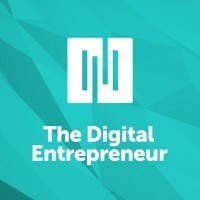 Voiceover: You’re listening to the Digital Entrepreneur, the show for folks who want to discover smarter ways to create and sell profitable digital goods and services. This podcast is a production of Digital Commerce Institute, the place to be for digital entrepreneurs. DCI features an in-depth, ongoing instructional academy plus a live education and networking summit where entrepreneurs from across the globe meet in person. For more information go to Rainmaker.FM/digitalcommerce. That’s Rainmaker.FM/digitalcommerce. Jerod Morris: Welcome back to the Digital entrepreneur. I’m your host Jerod Morris, the VP of Marketing for Rainmaker Digital. For those of you scoring at home, this is now episode number 21. I’m joined today by a couple of familiar voices. First we have Brian Clark, the Founder and CEO of Rainmaker Digital. Brian, welcome back to the show that you started. Brian Clark: Do you really think people are scoring at home? Jerod Morris: No, it’s a callback to an old Sport Center catchphrase. I’ve always wanted to say it. Brian Clark: I do appreciate the reference, and I did get it. Jerod Morris: We’ll see how many other people do. Now, a person who definitely did not get that reference. We also have Chris Garrett, the Chief Marketing Technologist at Rainmaker Digital. Chris, I hope this appearance helps cure your podcasting withdrawal symptoms that I’m sure you’re still going through. Chris Garrett: Yes, that it does. And I can confirm, I did not get that reference. Jerod Morris: Yes, that was a sport and goal reference. Jerod Morris: Yeah, I know. Chris Garrett: I don’t even get inside baseball. I have to have somebody explain that one to me. Jerod Morris: All righty. We are not going to talk about baseball today on this episode of the Digital Entrepreneur. We’re going to talk about email. We discussed this topic back when we did our five episode series on the elements of the modern marketing website a couple months ago. We’ll have that episode link for you in the show notes. Email actually kicked that series off. The episode was titled, “How Email (Still) Creates the Profit Engine of Your Digital Business.” If you are not yet convinced that you need to be building an email list, go back and listen to that episode and then get started building an email list. For this episode we’re going to assume that you understand the importance of building an email list, are in fact already doing so, and are at that next-level stage where you’re looking to become more sophisticated with your email marketing. You’re working with autoresponders, you want to get into tagging and segmentation, and perhaps improve what you’re already doing in that area. That’s our big idea today, which is to stress the importance of thinking in a more sophisticated and strategic way about what you’re doing with email. Also to discuss how we’re building these tools and features into the Rainmaker platform in a way that no one else has really done because of one key huge difference which we will get to here in a bit. First, Brian, I want to start off by asking you, why have tagging and segmentation become such essential elements of an email marketing campaign? Brian Clark: It’s all about that providing a more personalized experience. When we’re putting together our email sequences everything depends on the action or inaction. There are usually a couple to several variables that are always at play. Isn’t it smarter to speak to someone based on what they actually do, what they show interest in, than some one-size-fits-all autoresponder stream? That worked great for me in 2001 to 2005, but we’re in a very different world now. Jerod Morris: Yeah, we are. The message that you are delivering to your audience needs to adapt. We’ve talked about this idea of the right message for the right person at the right time, and that’s what this allows you to do. Chris, Brian and I were actually talking the other day about the difference between tagging and segmentation. What is that difference? Can you explain what tagging and segmentation actually are from a more technical standpoint and what the difference is between them? Chris Garrett: Segmentation is what Brian has just talked about, talking to the people who are interested in the topic about that topic, and not sending them information that they’re clearly not interested in. You segment them. You put them into groups. So this group is interested in red widgets and this group is interested in blue widgets. You can do that by putting them on two different lists, or you can have one master list and add information about them. Brian is interested in basketball and Jerod is interested in football. It can be one list called “sports,” but that information about what they are interested in could be a tag. It could be a custom variable. Jerod Morris: It’s so important to be able to do this to have flexibility. I’ll give you an example from a project that I was working on with a certain email provider. I wanted a way to send messages to the people who visited — this was for The Assembly Call — people who watch the show the most. If people had visited that page ten times I would tag them a certain way, but I actually had to create a separate list for those people and send it to a separate list and pay separately for that list, as opposed to it just being a tag for those people, those subscribers all within my list already that I could just email. Brian Clark: That’s what I have to do now, and I’m not shy, it’s AWeber. Chris, when are we moving me to Rainmaker? It’s so unwieldy when you have to create a new list. Jerod Morris: Yeah, I hate it. Brian Clark: It doesn’t make sense. And I think AWeber has some much more expensive advanced features that may include this, I’m not sure. But my opinion is, this is just email in 2016. This isn’t advanced email marketing. This is just email marketing. MailChimp and AWeber and all these people who are vanguards of the industry are saying, “Sure, we’ll sell you that for this much more.” I disagree with that approach, because I think everyone needs to be doing at least basic segmentation and tagging. It just makes much more sense than creating all these separate lists and, of course, being charged for them. Chris Garrett: You want to be encouraged to do this. The more you know about your subscribers — the more you know about your customers, especially — the better you can provide the service to them that’s not annoying. It changes how you approach the copy as well, because if you’re sending an email saying, “You may have seen this,” or “I don’t know if you saw this what I’ve talked about last week,” it’s awkward, it’s clumsy. It’s a lot better to say, “You were on the webinar on July the 10th and we’re doing it again.” Being able to say, “I know this about you, therefore I know you will be interested.” Or, “We met at a conference in Denver,” instead of, “Did you see me in Denver?” You’re talking to a person instead of the group as a whole. When you’re talking to a person you get through to them better. You can include the things you know about them. Brian Clark: Looking at it from a conversion standpoint, if I send out an offer email for a promo and someone clicks but doesn’t buy, that is an important piece of information compared to someone who either didn’t open the email or opened the email and didn’t bother to click. The first person is probably seriously thinking about it. They at least went to check it out. That’s a very different message that I would send to that person compared to someone who doesn’t seem to be interested at all. Maybe they didn’t see it. With that person you can say, “Hey, did you see this email? Because you didn’t open it.” The person who saw it, clicked, and looked — that’s valuable information. What if you gave them some incentive to tell you why they didn’t buy? That’s incredible information in return that you would also get from knowing that. Chris Garrett: Also, the majority of the people aren’t going to buy — 95% are not going to buy. If you only focus on the 5% who take the action, what about the majority? What about all the others who might be ready later? They might, as you say, have good reasons why they didn’t take action right now. There’s a lot of money and goodwill sat there that you could be just ignoring. Jerod Morris: The other thing that’s interesting too, is how much more you can do when your email is fully integrated into the platform. This is what I want to ask you about in regards to Rainmaker, Chris. As I go through and start using some of these features, I’m finding so many more options available for tagging and segmentation and being able to adapt the content based on what people do on the website. If you’re just using a third-party email provider, you can obviously do a lot based on what they click in the email and all of that stuff, but actually having it integrated into the platform gives you a whole world of other information that you can use to tailor the experience that you’re giving them. Chris Garrett: Yeah. One of the things that I know you and Brian have talked about a lot is the free member library concept or the free course. We’ve really focused on making that as useful and valuable as possible. Because, if you’re sending people off of your site to a third-party training platform or video hosting platform, you’re losing a lot of opportunity to know about what is really engaging to them — what is really exciting for them, or gets them to take action — or what they want to go deeper into. Having just that website and that training platform in one, that’s huge increase in what you know about your customers or your prospects. If you look at how we use it — we know if somebody has started Brian’s course versus started the funnel course or Chris Lema’s course. We know if they’re a paid person or a free person. We have a free library because we do what we teach. We know to not send people information based on whether they are free or paid. We don’t want to send them the stuff that you should pay for, but also we don’t send them things that will annoy them. We don’t tell them to buy what they’ve already purchased, which sounds basic, but how many times would you signed up for something where they should know but they still tell you irrelevant things or they still mistake you for being a prospect when you’re already a customer? If you just go around the web and you see all the remarketing ads for stuff that you’ve already purchased, you know what I’m talking about. Then, as we add to the platform, we want to look at people who haven’t registered. Maybe they haven’t even signed up for your email yet, but we still want to know information about them to use later. Think about if you’ve got a blog and that blog has call to actions to get people to sign up for the email list or sign up for the free membership, then that free membership gets people to pay. If you’re sending people to separate sites or separate tools all along the line, you’re losing those connections. Once somebody has shown that they’re a human being and a return visitor we want to build up information about them. Then you can start segmenting through your content and through your own site experience. You can have on-site call to actions based on the actions they’ve taken and the interest they’ve shown. You can have blog post series that lead people to have a deeper interest in a topic and then you can give them the opportunity to go deeper into that by registering for a free course — either as an email course or as a learning management system video-based course with downloads. That’s another opportunity for them to express more interest and show more action. Sign up for webinars — you know if they’ve signed up for the webinar, but did they attend the webinar? That’s all information you can build about them, and it’s all through their actions and their interest rather than trying to infer, spy, or use analytics, which is not really great for drilling down to an individual. For example, we sell a lot of different things, but if someone comes in at Copyblogger through the email marketing landing page, that sends them into My Copyblogger along with everyone else. That’s valuable information, because we know that their point of entry was email. Therefore, the follow-up sequence for that person is different from everyone else, even though they all ended up in the same place based on a tag that is placed right there. Chris Garrett: If you think about the things we sell on StudioPress, if somebody buys the foodie theme versus the real estate theme that’s good information for us to know. They’re actually expressing that they’ve got an interest in industry in a vertical, and that is really useful information. We’ve got people in our customer base who are writers, we’ve got developers. They have different needs. They have a lot of overlapping interest, but they also have different interests as well. You can service them better the more you know about them and know what they might be interested in. Also, if you give them an opportunity to express interest and they don’t take the opportunity, that’s also information that you can glean as well. Brian Clark: Let me ask you this, Chris. You and Nick, one of our developers, were geeking out. We’re trying to extract reasonable deadlines from you — like marketers do — without much luck. Tagging is really the smarter way to segment. But you guys were talking about advanced segmentation and some other stuff that we have coming later in the summer for Rainmaker. Tell us a little bit about that. Chris Garrett: One of the problems with tagging is that a lot of the time a tag will be a “yes” or a “no.” It’s really interesting to say Jerod is interested in basketball, “yes.” But I think it’s more interesting to be able to say Brian started this course on June 22nd and show a different message if somebody started before June the 1st or after June the 1st. Then there’s things like lead scoring. If somebody downloads a white paper, do you give them ten extra points to say that they are really interested versus somebody who’s got a lead score of one? Is that person now a lead score of 20? What Lead Scoring Is, and Why It Matters? Brian Clark: Lead scoring — just so we don’t lose anyone here — this is a way of giving a rating or a numerical value, if you will, to a prospect in which case, if they are more highly motivated than someone else, you might send them an offer or a different message than you would send everyone else. Chris Garrett: Yeah, exactly. Or you would use that to develop correlations between the activity you’re doing and the quality of the prospects and leads that you’re generating. You might want to know: Did the Google Hangout do better than the white paper? Did the webinar serve you better than the email autoresponder sequence? What is generating the best lead for the money and the investment you make? Brian Clark: Where did they come from? I guess. Chris Garrett: Yeah, is a search prospect better than a Facebook advertisement prospect? It might not be just down to picking up the phone and calling your best prospects. It might be, “Okay, this is where our investment is going and this is how it’s paying off.” Down to — once they become a customer — did it take them a long time to become a customer? Did it cost you a lot of money to make them into a customer? This is all valuable information that allows you to tune and tweak things. It’s not just about, “Yes, we can show different messages on screen. We can show different email copy.” It’s also where you’re putting your efforts. It’s the 80/20 rule, 20% is going to be 80% of your payoff. Jerod Morris: Chris, how would someone even try and do something like this with a mishmash of a bunch of third-party providers? As we’ve talked about them, that’s with Rainmaker and it being all integrated. That’s what I was hinting at earlier when I said the one huge key difference — it is that integration having everything in one. How would someone even do this at this level of sophistication when they’re putting parts and pieces together? Chris Garrett: We tried. We tried to piece all these things together. It didn’t work so well. That’s why we built what we built — we built it for us. If you sign up for a Rainmaker trial or if you sign up for the Digital Commerce, you can actually see us using the stuff we’ve started building. Obviously it’s all going to roll out to everybody who’s our customer on Rainmaker. We couldn’t really do this integrated thing. We were spending a lot of money and time in development to glue all these things together, and we just thought it would actually save us time and effort to build what we needed instead. The multi-device world we live in — take that alone — where you take a lot of actions on your phone and then you go to the website on your desktop, because bigger screen. You’re ready to use your credit card and it forgets everything about you. That’s what we want to get away from. We want people to sign up for your free course on the phone being able to follow it on their iPad and then download the PDFs on the desktop and it all be the same person, the same experience, or an enhanced experience. We want you to tell us by viewing the video past 30% that you’re interested. We don’t want to glue all these different tools together. It needs to tell your email subscriber, your member record. It needs to tell your on-screen experience. It needs to tell your experience six weeks down the line that you showed an interest. It shouldn’t forget about you. You can, if you’ve got a big team and a lot of effort, get some of that by gluing a lot of things together. But not what we needed and not to the level we want to take it. Brian Clark: There’s a ton of businesses out there these days who are essentially one person. They do very well. Of course they have virtual staff and freelancers and designers that are part of the eco system, but you need your technology to be your business partner not a liability. Chris Garrett: How many businesses have got the resources or even the time and bandwidth to have a team of people looking after this? Every extra team member you add — even if it’s a freelancer — is taking mind share away from you as a CEO. Brian Clark: If your automation solution requires you to hire a consultant, you’re doing it wrong. Chris Garrett: Outside of this company. I don’t want to do myself out of the job. The funny thing is how many of these tools are sold as being easy, but really they’re consultant-ware. That’s one thing to be really nervous about. If you have to take a great deal of expensive training and then you have to have a lot of resources to manage the thing, and then you’re so tied in because of all that investment that you’re worried that you’ll never be able to go anywhere else, then you’re not doing your job. You’re not marketing or producing products, you’re not doing customer service. You’re dedicating all that resource and that energy to a tool. The tool should serve you, not you it. Jerod Morris: Chris, did I hear you correctly? You mentioned earlier — we’ve talked a lot about the importance of the logged in experience and what you can do from a marketing automation perspective when people are logged in. The importance of that will never dissipate. But did I hear you that folks will be able to perform some of those marketing automation functions even when people aren’t logged in? Chris Garrett: Yeah, I think that’s important for us as a step that we need to work towards as much as possible. Like you say, the logged in experience is going to be the ultimate because we know if they hit that Facebook log in button or that Facebook registration button, we’ve got a lot of information about them and then everything they do. Not everybody’s going to log in and not everybody’s ready to log in. A blog creator doesn’t need to be logged in. Reading an article — we want to know that they are really interested in the 3D printing category versus the basketball category without them having to log in. Then, clicking links — you don’t have to necessarily log in to show an interest, because you’ve clicked the link. All of that needs to be, if they logged in, great, if they are not logged in, to still work. Jerod Morris: I think you and I need to create a site where it’s possible for someone to take a path of either 3D printing or basketball. Chris Garrett: Nick and I were actually talking about using these tagging and segmentation rules features to do Choose Your Own Adventure. Do you remember those books? Chris Garrett: We’re actually seriously considering making Choose Your Own Adventure using these tools. I think that will be fun. Jerod Morris: That would be fun. Chris Garrett: Ten plus points minus five heath. That kind of thing. Jerod Morris: All right, can we nail you down on dates when all these stuff is going to be done? Chris Garrett: No, you cannot. Chris Garrett: Yeah, we really want to get this into your hands as soon as possible, but at the same time we want it to be great. I really hate promising. But in July we definitely want you to be able to tag people and to be able to show or hide based on those tags. Brian Clark: Tagging really is the next killer app of the killer app. It’s not necessarily new, but most of the solutions out there that offer this, like I mentioned earlier, it’s an upsell. Remember when we tried out Marketo and they finally figured out that we don’t have a sales team and their solution wouldn’t work for us? We paid a lot of money for that. Of course, that was the moment when we decided to build it ourselves. The integration in Rainmaker is interesting because it’s a total platform. We don’t have to maximize profit on email. Not only do we not upcharge you for tagging, you’ll see that our email prices — despite world-class servers and deliverability — are cheaper than everyone else out there. That’s simply because it’s all part of one solution. You got all these companies that are SaaS companies that are basically a feature. Rainmaker is the exact opposite philosophy of that. Chris Garrett: A lot of these systems as well, they don’t understand that one company can have multiple brands. But back to the start of Copyblogger when you started Teaching Sells with Tony, Brian, you had Copyblogger and you had Teaching Sells. A lot of these companies don’t understand that concept that you might want to email from Teaching Sells as Teaching Sells even though the company is Copyblogger. With our solution, your subscribers are your subscribers. It doesn’t matter what websites you have, you can brand it from those different sites. You have the advantage of it being one subscriber going across two brands, but you can also email from that brand. Showrunner can email somebody. StudioPress can email somebody. We could actually charge extra for that, but it would sound silly to me. It sounds like something that would be obvious for you to be able to do. A lot of those system are set up for, as you say, the sales person to lead them from being a prospect to a “yes” or a “no” and then dismissing them and discard them. We’ve got people going back to 2007 that are still loyal customers. Why would we do that? Jerod Morris: Yeah, it’s all very exciting. Obviously, Brian and I love seeing these new features and getting to play with them, and we love the ability to share them with you as well. We’d love for you all to go to Rainmakerplatform.com and take a test drive. What was the Rainmaker email service is now RainMail. It is fully integrated in the platform. You can take a free trial of the platform if you go to Rainmakerplatform.com. We’ve also added a monthly billing option now that you can take advantage of. Get in there, test it out, try it out. We got Chris to go about as far as he will go in terms of a promise by letting you know that there will be some new features in July. Really, there are going to be new features rolled out in July and August and September, because we’re constantly updating the platform with new features and with new updates to be able to do all of the things that we talked about in this episode today. Make sure that you go to Rainmakerplatform.com, get your free trial started, and see how this can take your marketing and your business to the next level. Because the features are great and they will be able to do that. Chris, thank you for your insight. It’s always appreciated. Chris Garrett: I had so much fun. I don’t want to overpromise, but I’m sure it’s fine. Jerod Morris: Brian, thank you as well. Always great to have you back on the show. Brian Clark: I’m pretty sure he hasn’t overpromised. Chris Garrett: You’ll make sure of it. Jerod Morris: All right, everybody. We will talk to you next week on another brand-new episode of the Digital Entrepreneur. I can (and have been) achieving everything you need guys mention here with Mailchimp, Woocommerce, and Woocommerce Memberships. But agreed – if I had those features under one roof it would be easier. A simple example: Right now if something goes wrong I don’t know which customer service to call. Is it my host? WordPress? Woocommerce? Mailchimp? A couple unified customer service experience is a huuuuuge deal.